Stonemarket Marketstone is a range of ethically sourced natural stone products. Made out from Sandstone, Marketstone paving has proven durability for external use in the UK. Hand dressed, this product is available in three different colours: Grey, Autumn and Sahara. 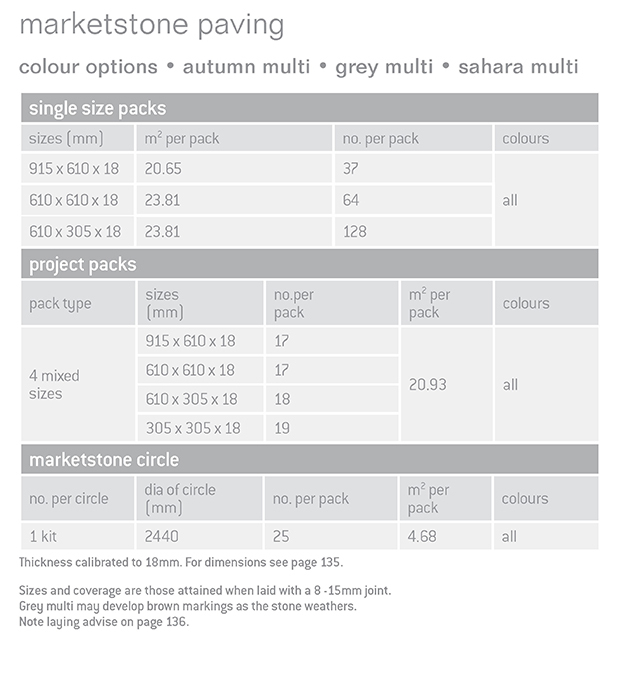 Each colour is available in 5 different single sizes, along with a respective project pack. Circle kits are available for all colours. Project packs available for all colours.